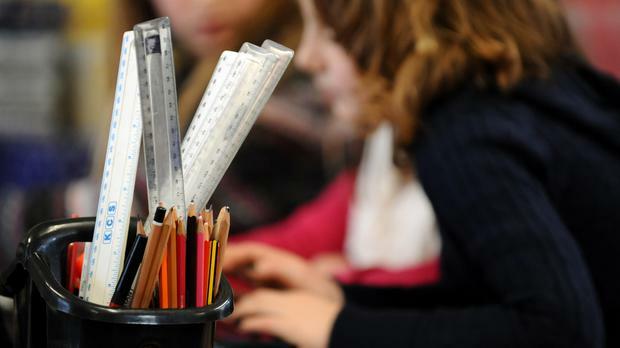 Children in care should be prioritised on school waiting lists as they are "particularly vulnerable". Foster parents and interest groups are calling for greater support when it comes to children in care and their education. Under new legislation such children will not have priority status. The Admission to Schools Bill 2016, which has passed its second stage in the legislative process, has no explicit mention of children in care. The Ombudsman for Children, the Irish Foster Care Association and foster parents themselves have said these children need high priority access to education due to often difficult circumstances. There are just over 6,300 children currently in care in Ireland. Four thousand of these children are between the ages of six and 15, and 98pc are in full-time education. There are 1,055 children aged 16 and 17, with 93pc in full-time education, according to Tusla's latest figures. However, there are concerns that children in care do not have the advantage of being registered to schools at birth, and may have to move several times while in state care. One of the aims of the bill is to abolish waiting lists so parents who move to a new area will not be discriminated against. Several Irish studies and reports have called for a specific focus on helping children in care attend education, yet there has been no significant changes in law. The Ombudsman for Children, Niall Muldoon, has called for children in care to be given "preferential treatment" when applying for schools. Dr Muldoon said the State has a higher standard of duty to this group of children compared to other children. "There needs to be a commitment to promoting all possible educational opportunities for children in care and a specific and strong provision for designating a school place in the Education (Admission to Schools) Bill 2016," he said. "A certain amount of flexibility is required when dealing with this small number of particularly vulnerable children who may have to change school at short notice and during term time while also dealing with disruption in their family and personal lives. "Giving preferential treatment to children in care with regard to their right to education and admission to a particular school can be objectively justified as a proportionate response." The UK, Canada, Australia and the US all have specific legislation regarding children in care and school admissions. "Education is a fundamental right for every child. Children in care may often, by virtue of their circumstances, be required to change school on a frequent basis," an Irish Foster Care Association spokesperson said. "Foster children who for whatever reason are received into care or move placements during school term, should be able to access education in a school close to where they are placed with a minimum of delay." An ESRI/Trinity College report published in May 2013 titled 'Education of Children in Care in Ireland: An Exploratory Study' noted that the State has a special responsibility.